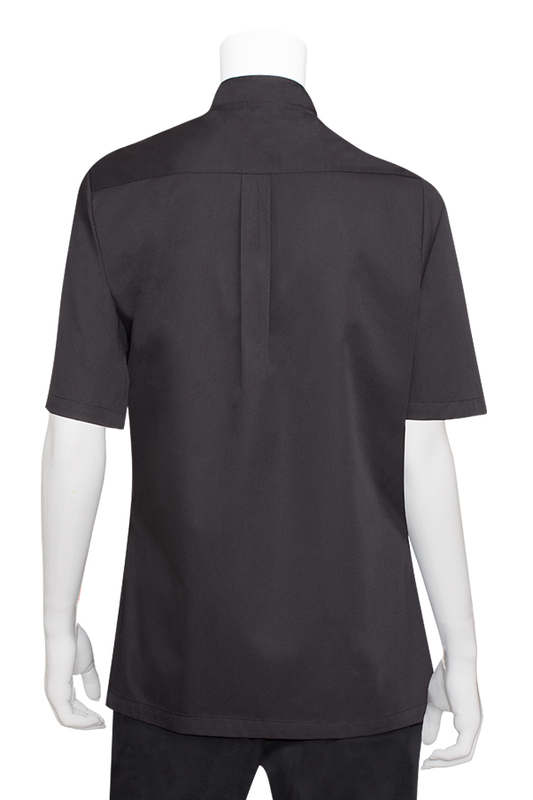 Dress your servers in our Avignon Black Bistro Coat. It has short sleeves and is double breasted. The Women’s coat has a modern fit and is double-breasted with side seam slits. 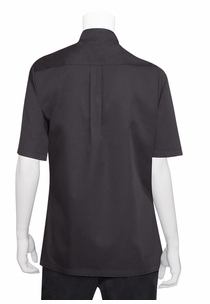 Featuring a yoked back with a box pleat for added comfort. It has pearl buttons and a Thermometer pocket on the left sleeve. Constructed in 4.7 oz. 65/35 poly/cotton ‘lite’ twill fabric which is practical for ease of maintenance and makes for cooler wearing.